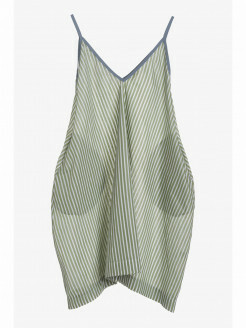 Tank top dress in cotton with vertical stripes. Pastel colors and trapeze line for a pert, sparkling look, like the fresh summer breeze swelling skirts and ruffling hair. 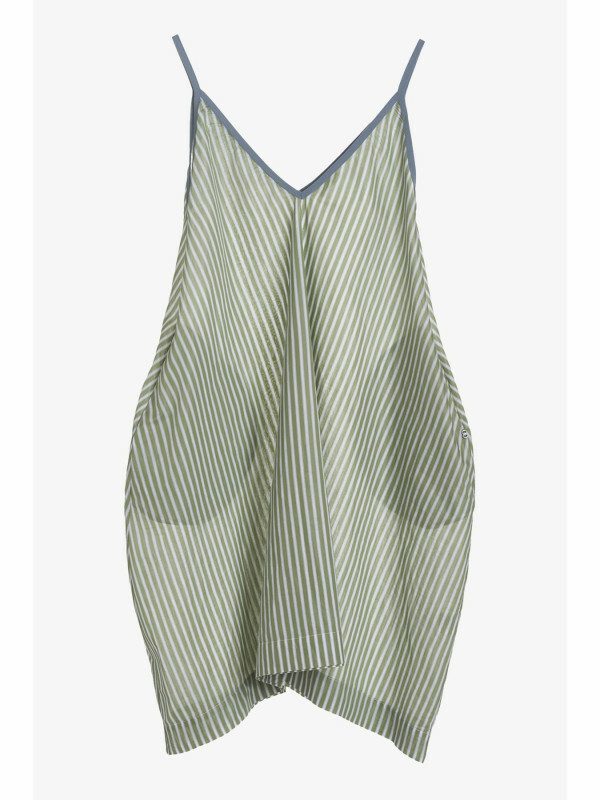 Thin straps and V neckline in a light, contrasting hue. The perfect choice in combination with original print sneakers.